Since SEO, or search engine optimization, helps readers find your content online, longer content means more opportunities for you to get noticed. Now, you don’t need to write a novel—keep your posts relevant and topical—but long-form content has the potential to be very interesting. A well-written post shouldn’t be boring or heavy. Expand on an interesting, trending topic, include media like photos and videos to ensure your long-form content is a good read! Remember, long-form content simply means in-depth. Crafting long-form content strategically works in your favor to attract search engines to your site. The goal is to create the type of content that gives users plenty of useful information. Whether you offer helpful tips, a list of vacation activities, movie reviews, or delicious holiday recipes, the more specific your post, the more you’ll entice your readers. 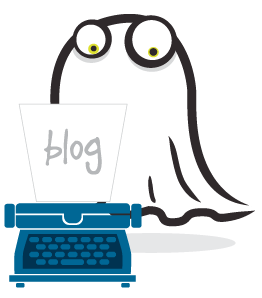 At Posts by Ghost, we’re a team of experienced writers who strongly believe in the magic of producing quality content matched with extraordinary SEO. We know from personal experience that long-form content that’s searchable, shareable, and most importantly interesting, works. These long-form content insights are why less isn’t always more. Sometimes, MORE is the way to go! We know, technical SEO sounds intimidating, but just hear me out, folks. Long-form content means you get more chances to optimize your amazing post on DIY holiday décor projects, so readers easily find your post at Christmas! Okay, so let’s be honest, it’s not exactly easy to show up on the first page of Google. In fact, cracking the “Google code” is practically impossible because it’s constantly changing. Case studies show, however, that a blog post equaling at least 2,000 words has a better chance of successfully ranking for more keywords than a shorter 600-word post. By simply increasing the length of your average post, you automatically boost your chances for discovery. Another study conducted by Backlinko’s Brian Dean found the majority of content with the best Google rankings were… you guessed it, longer. Long-form content ranked better than shorter blog posts because there was more information available to the user searching online. The content answered the query more thoroughly. Dean discovered the average word count for content on the first page of Google was around 1,890 words (almost 2,000). Shorter posts were ranking much further down, often around pages 9 and 10. Your long-form content will naturally include more relevant terms, keywords, and links. If you stay focused on the topic and explore it thoroughly, you’ll cover all your SEO bases. Search will definitely favor an informative long-form post that’s SEO-friendly. Like it, share it, screenshot it, and send it! To truly compete in the web world today, your content MUST be social media friendly. All the data shows social media platforms prefer long-from content over shorter pieces of content. These longer posts perform better on social media because they create conversations between users. Long posts have plenty of information to spark readers’ interest and get passed along. Long-form content is easily sharable on platforms like Facebook and Twitter and receives more hits than shorter posts. People appreciate well-written content full of valuable information. Think about it like this: if I’m traveling to Europe with pals and we need restaurant recommendations, I’m more likely to tag friends and share the post “20 Best Places to Eat Abroad,” than “That One Time I Ate Pasta in Italy.” Make sense? In fact, a study conducted by Moz found the type of long-form content today getting the most shares via social media falls between 3,000 and 10,000 words (gasp)! 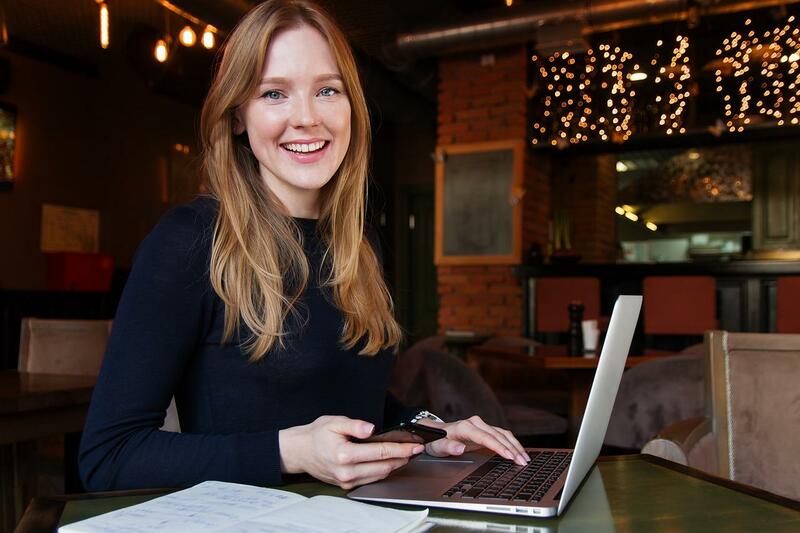 Take this opportunity to push yourself and your blog to the next level. Find a topic you’re super interested in or well versed in and run like the wind! The more information you add to a post, the better your chance to attract new readers and gain increase social shares… score! Another benefit of social media is that you’re able to push long-form content out to a specific audience. If you write a longer piece on your worst food experiences, on your food blog, every foodie following you will appreciate your in-depth piece of content and share it. This is another reason long-form content performs better on social: you’re sharing your content with people who are interested in YOU! Content shared several times through social media attracts more attention to your site and therefore improves your search engine ranking. In the content world, popularity breeds popularity (hence, why some lucky pieces go “viral”). Social media draws more readers to your website and more eyes on your stellar blog. Post your next long-form piece on social and get people to notice you! Writing long-form content doesn’t mean using The Odyssey or War & Peace as inspiration for every blog post you publish. It’s not just about increasing your word count to hit the 2,000 mark by rambling or telling an epic tale (unless it’s TRULY epic). Popular posts that increase traffic are lengthy in word count but most importantly, they’re extremely readable. Creating a long-form piece of content that doesn’t scare readers away means choosing a topic your target audience will gravitate toward, writing an in-depth piece about that topic, and then effectively using visuals to hold the reader’s attention. Use bullet points, lists, quotes, and interviews as long as there is consistently valuable and intriguing information for your reader! Photos and videos break up large chunks of text in long-form content and contribute to a digestible and visually appealing post. Remember, good long-form content works because there’s more quality information for the user, not more boring sentences to force a word count. Search engines greatly appreciate detailed and information-heavy posts. Important! 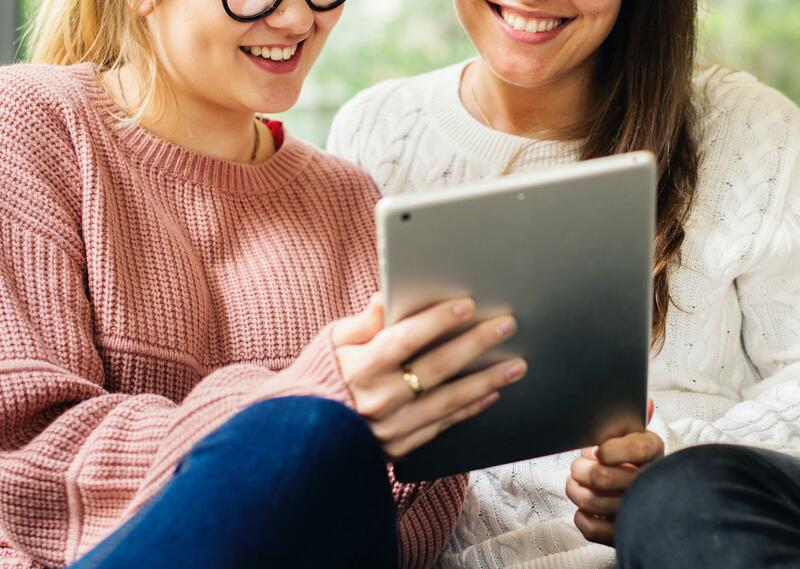 As a blogger and influencer, engaging your audience will help grow your readership. Connect with your followers by answering their questions, responding to comments, or addressing specific topics when they express an interest. They’re telling you exactly what they want to know! You need to listen! A beauty blogger may receive tons of requests to write about the best type of makeup products for acne prone skin. Long-form content is the best option to cover their concerns in detail (and tell them how to cover their blemishes)! Give your fans the in-depth advice they seek! Q&A type blog posts are another great example of long-form content that allows you to interact directly with your followers. Learn their questions by listening to them carefully in comments, on social media, and through your interactions. Then craft the post to include a dialogue that answers each of their queries (this is also helpful for incorporating keywords into your posts). Explaining, “How to…,” “What you need to know about…,” and “Why you should…,” will help readers know you really get their concerns. Fill your long-form content with valuable information crafted for your readers. The next time a follower approaches you with a question or concern, don’t just write a one-word answer in the comments section or simply add another line to your FAQ page; consider putting together an interesting piece of long-form content instead. 2,000+ words give you oh-so-many wonderful opportunities to recognize your followers and directly answer their questions. Remember, the better you are at speaking directly to your audience, the more they’ll click and keep coming back for more. Pictures, videos, graphics, oh my! Visuals are a vital part of the success of your long-form content. Not only do visuals help to break up longer pieces of text and add interest, but they’re also extremely effective at helping your readers better connect and engage with your content. Let’s be honest–not all readers aren’t actually going to read your long-form content post word for word, BUT they will often skim the post and jump in based on the most interesting elements. Headers and bullets are important, but so are videos and infographics. These elements keep readers on your page, interacting. A 2,000-word post provides you with a bunch of great opportunities to incorporate engaging visuals. In a recent article published by Neil Patel, he said “It’s important for you to understand how your audience is consuming your content. They aren’t reading each word on the page. Instead, they’re skimming through it.” Visuals help guide your reader through your long-form content and help ensure their eyes stay glued to your in-depth post longer. Long-form content and visual aids go together like peanut butter and jelly, Thelma and Louise, macaroni and cheese… however you name it, they’re an unbeatable pair. 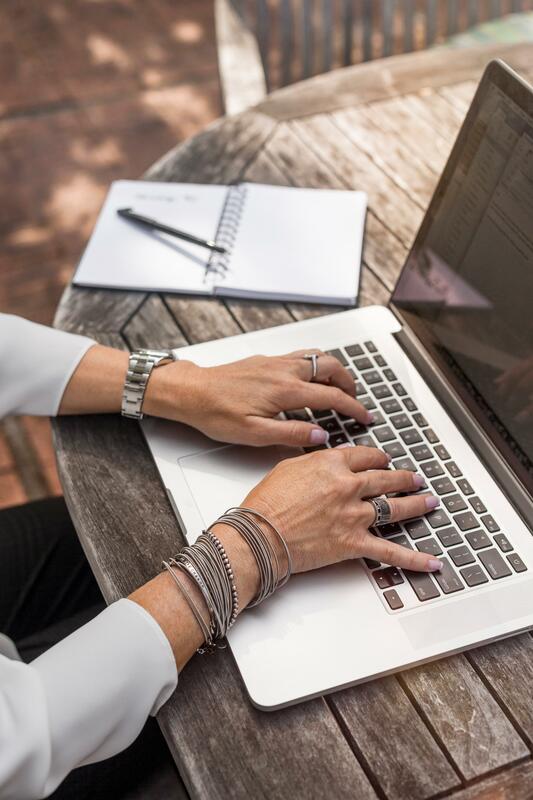 A study conducted by Nielson Norman Group found on average most people will only read and digest about 20 percent of the words in a blog post. While this might make you a little sad at first, there’s no reason to fret. You simply need to punch up your content with some visual pizazz. A longer post (although more valuable because of the quality information included) has the potential to be a bit more overwhelming for readers. Beautiful photographs, funny videos, and relevant graphics are a great way to add intriguing elements to your long-form content and entice readers to take in 100% of the words on your page. Plus, eye-catching visual content often gets shared on social media. Remember, you’re smart, interesting, and one-of-a-kind. You are an authority on your blog topic and search favors authoritative content. Use your posts to share your knowledge, whether it’s your expertise in French cuisine or your stellar pantry organization skills attracting readers, take a deep dive. Go the extra mile and put in the work to create quality long-form content audiences everywhere will WANT to read. If you’re passionate about what you do then the words, without a doubt, start flowing! Search engines may not text us back or answer our tweets but, not too long ago, Google released a statement saying, “Users often turn to Google to answer a quick question, but research suggests that up to 10% of users’ daily information needs involve learning about a broad topic. That’s why today we’re introducing new search results to help users find in-depth articles.” Those “in-depth” articles are examples of the long-form content we’re talking about. If you know all about a topic, creating a long-form post should be simple. It’s not about aiming for a word count or rambling on and on, it’s all about creating well-written, in-depth, authoritative content. If you’re an expert, teach others all that they need to know. Keep it specific but offer plenty of meaty info to really help your reader get into it! Remember long-form content provides you with more chances to incorporate great SEO tactics. Longer content is more popular on social media channels and longer articles are typically filled with better, more specific information. If you’re targeting your audience, they’ll appreciate more details tailored to their query. Across the board, search favors long-form content more than short content. 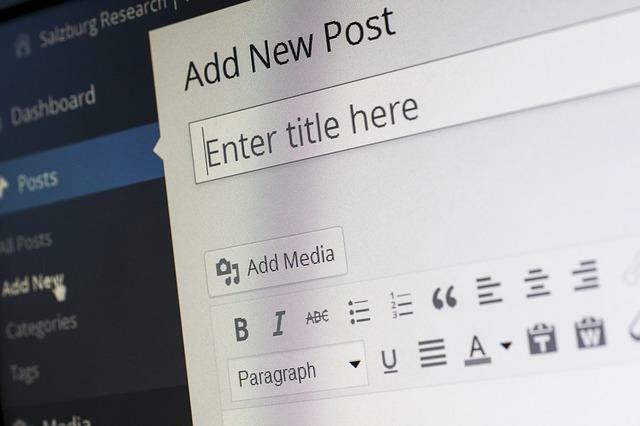 If you’re looking to boost your search engine result ranking and attract more traffic to your blog, consider adjusting your writing style, and showcasing more of your skills with long-form content. Want internet popularity? Dazzle them with well-written, informative posts! Is it time to make real changes to the content on your blog? Are you in need of major help to increase website traffic? Do you have a thousand random questions about everything you just read? No worries, we can’t wait to help you! Contact Posts by Ghost™ or leave a comment below! Featured image via Pixabay. All post images licensed for use via Pixabay and Unsplash licensing. 2 Responses to Is Long-Form Content REALLY Better for Traffic?